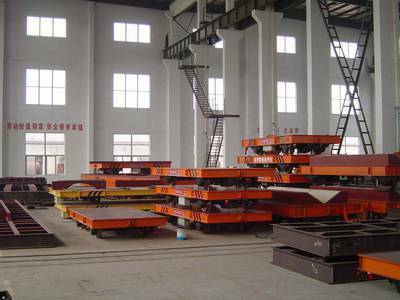 Rail Transfer Flat Cart- rail transfer cart manufacturer - Henan Jinrui Machinery Co., Ltd. 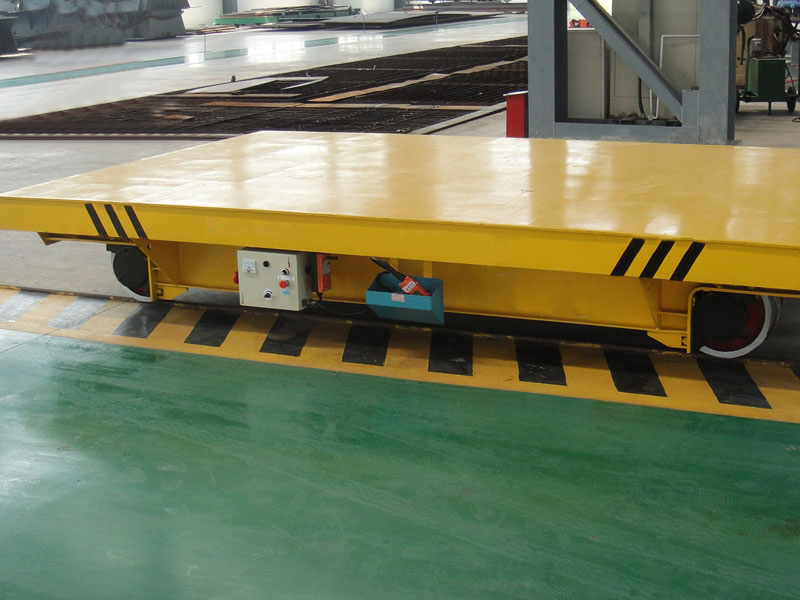 The rail transfer carts with is powered by the 36V single or three phase low voltage from railways, has high requirement on railway construction. 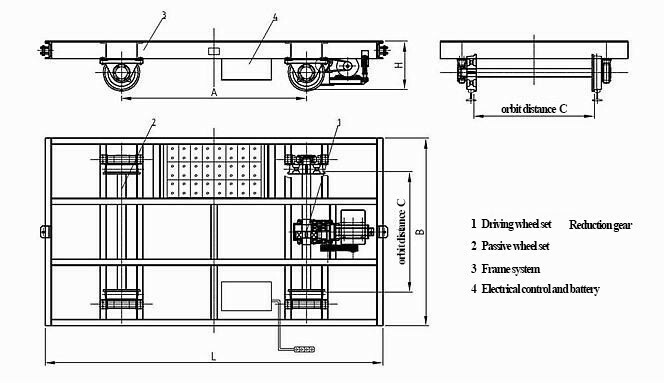 This type electric flat carts load capacity is up to 200 ton, can be used at high-temperature environment, high using frequency or other worse condition, suitable for long distance transportation. 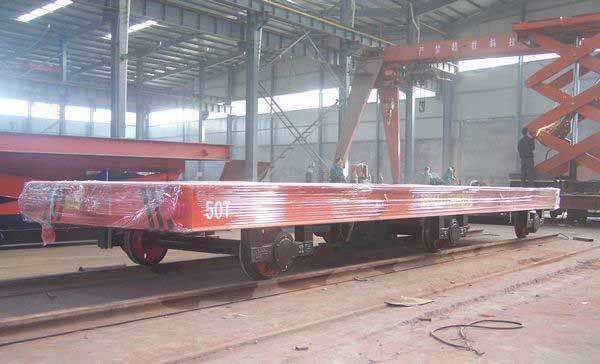 And the rail transfer cart can travel both on straight railway and curved railways, also can install hydraulic lifting device on flat carts. 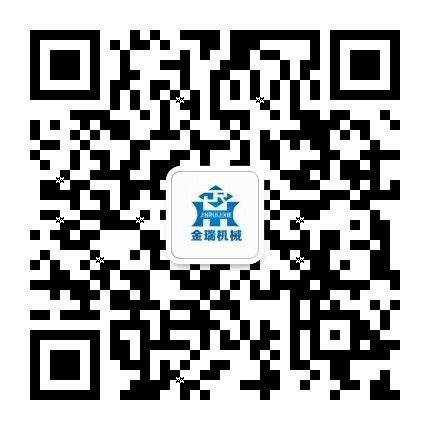 So, the Electric transfer flat carts is more suitable used in machinery assembly line, warehouse transport, work piece transport in workshop, lathe transport, steel factory, construction, petroleum industry, energy, chemical industry, etc.